I’ve been in and around water for as long as I can remember. I am just as calm as the water. I’m a very patient and understanding person which I find very handy when working with students. Before anything, the student has to feel comfortable in the water, and that is something that I will make sure happens. Teaching is super fun for me. I love the process of it. The challenge of teaching something that is not necessarily the easiest thing to do is something I enjoy. Any skill level I am confident working with. My teaching style is based on consistency. I want to give students a structure to how they learn so that they can master what they’re working on with practice. Safety is a priority above anything else and I make it a point to learn water survival skills before getting into the fancy stuff, no matter the age or skill level. With anyone I work with I want to build a relationship first. Teaching a student in a pool requires a level of trust. Beginner swimmers have to feel comfortable and confident when in the water or else they create a negative connection with it. At first I work with the students comfort level, then slowly push it as they continue the process of learning. It will all be at a pace that they can handle while still ensuring they are challenged. I’m striving to build the student’s confidence and make sure they retain the skills being taught. Constant reassurance is my way of motivation. Survival skills will be the first to be taught. Once the student learn how to be safe in the water and are sure that they can get themselves to safety with their head above water is when they’re ready to move on to more fancy advanced skills. The “survival strokes” are the most beneficial to a beginner student. Special needs children hold a special place in my heart and are wonderful to work with. I have experience with them in and out of the water and I am assured that I can connect and help them. An important part of building this relationship is also maintaining open communication with the parents. Along with teaching the student the necessary skills to swim, I want to satisfy the parent’s wants for their children while in the water. If there is ever any requests on what you think you or your child should work on feel free to relay that to me and I will make it happen! 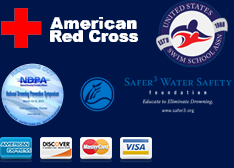 I’ve had much experience teaching swim lessons to all ages and I currently hold a Red Cross certification in Lifeguarding/First Aid/CPR/AED. Can’t wait to meet you and start swimming, it’ll be so fun! See you soon!